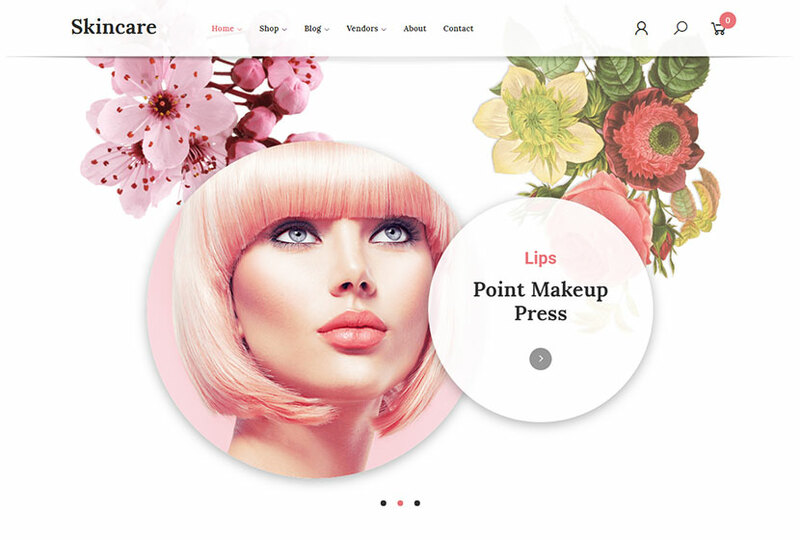 This time our new and fresh WordPress themes collection is devoted to make-up, cosmetics and beauty industry. You will find the templates with a multitude of homepage layouts you can select for building an organic food and cosmetic products store, barber shop website, beauty salon, hands and nails care guides, skin care recipes, spa studio, beauty blog, or any other beauty oriented site. 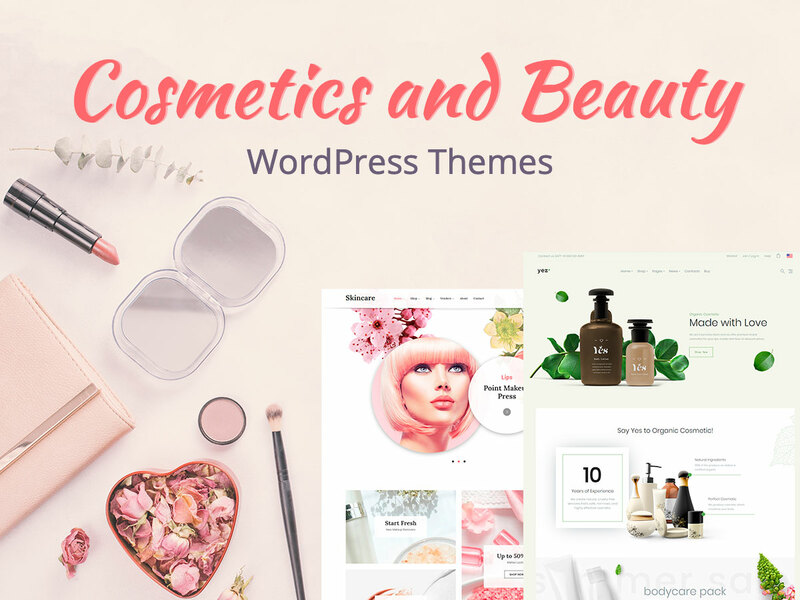 Please take your time and browse the following beauty oriented WP themes to find the best and most appropriate one for your business. Enjoy! The history of cosmetics starts about 7 thousand years before the present days and of course it is still highly appreciated in almost every country worldwide. Many centuries ago ancient Egyptians made makeup with the help of lead ore and copper. Berries were used by women to beautify their lips and ashes of the burnt matches were applied to darken eyes. Today there are lots of modern make-up tools and ingredients that help women to highlight their beauty just perfectly. 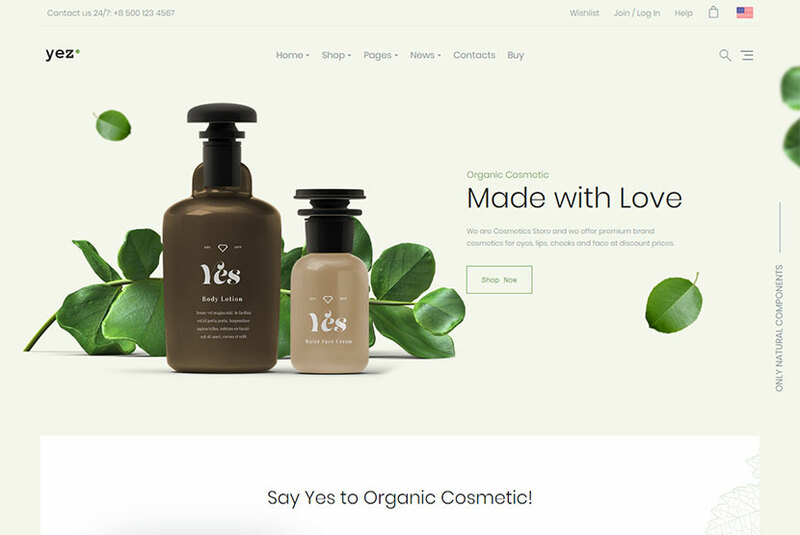 Yes is a multipurpose WooCommerce WordPress theme which comes with 12 homepage layouts suited for a number of purposes, and cosmetics is one of them. It boasts a wide selection of features like intuitive WPBakery drag-and-drop page builder with custom GT3 modules, parallax background for rows, grid, masonry, and more galleries, animation effects library, unlimited header variations, and many more advantages. Ancient Egypt is one of the countries where cosmetics was mostly appreciated both my women and men. People used scented oils and ointments to clear and soften the skin as well as mask body odor. As Egypt’s weather was always characterized by hot sun and dry winds, people used oils and creams to protect the skin and keep it young for longer. Lavender, chamomile, peppermint, rosemary, sesame oil, and some more basic ingredients were included into Egyptian perfumes. 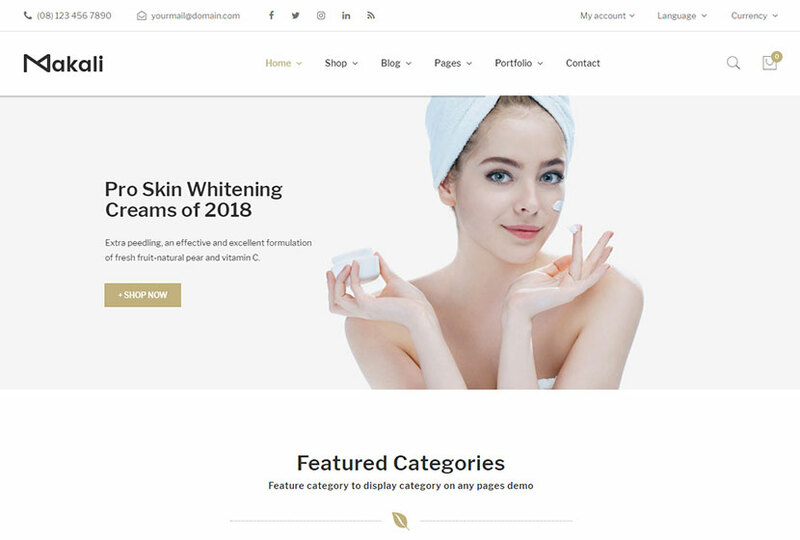 Skincare is a cosmetics, spa, hair and beauty WooCommerce WordPress theme which comes with 8 homepage layouts having different design styles. Vendor shop and vendor dashboard layouts allow to use this theme for creating a multi-seller marketplace. 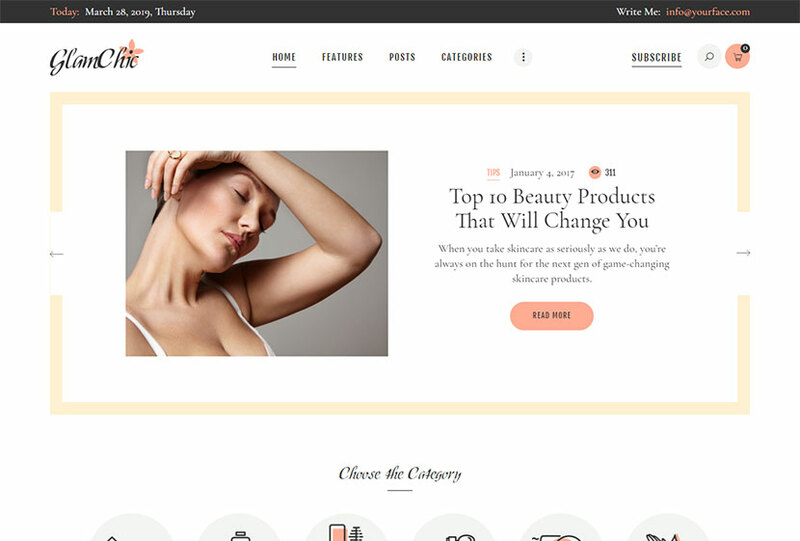 Skincare includes 6 product types, 6 shop pages, 6 products layout, and more pre-defined shop templates. Drag-and-drop elements builder, header and footer custom design, and many more features are available. In 4000 BC women in Egypt used galena mesdemet made of copper and lead ore together with malachite to add color to their faces. To create the almond shape of eyes they used the combination of colorful copper ores, burnt almonds, oxidized copper, lead, ash and ochre – this mix was called the kohl. The cosmetics was kept partially in make-up boxes and stored under the chairs. 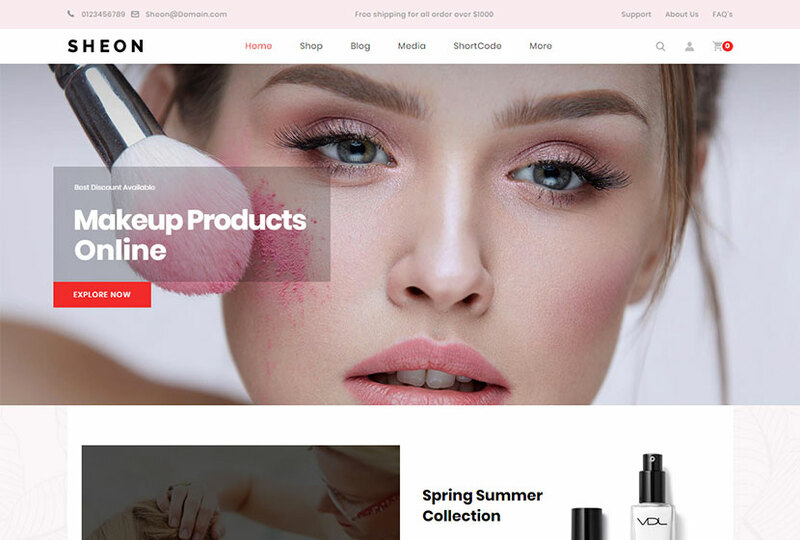 Sheon is a multipurpose WooCommerce WordPress theme which comes with 15+ homepage layouts, and cosmetics is one of them. It supports the child theme, comes integrated with Revolution Slider, includes RTL support for Eastern languages, horizontal mega menu and mobile menu, ZoomMagnifier with additional image slider, product quick view, drop-down shopping cart, and many more features. Cosmetics in ancient China was popular both among women and men. The Chinese women stained their nails with gum arabic, gelatin, beeswax and eggs. These colors symbolized the belonging to a definite social class. Thus Chou dynasty royals used golden and silver tones, and the subsequent royals wore black or red colors. Lower classes weren’t allowed to color their nails in bright tones. 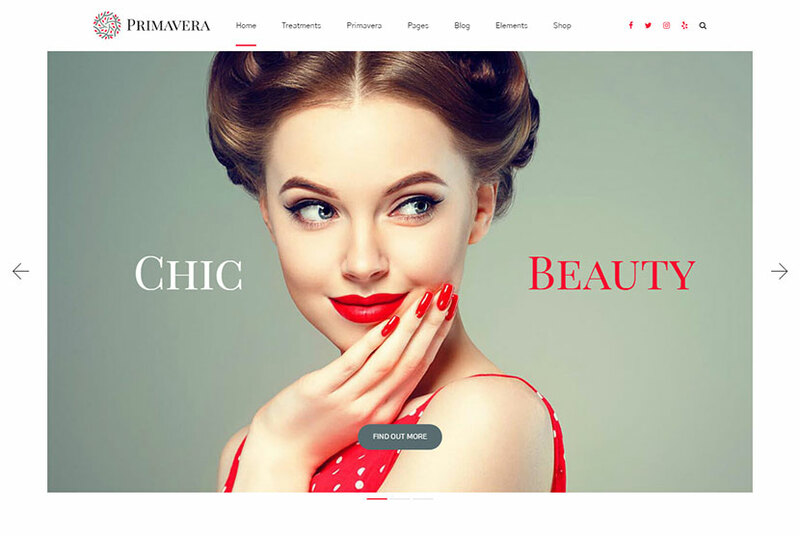 Primavera is a beauty oriented WordPress theme which comes with 3 homepage layouts devoted to barbershop and hairdresser, spa and wellness as well as manicure and pedicure. Lots of pre-designed inner pages, WP Live Customizer theme options, easy color change, beautiful typography, custom icons, WPML support, a lot of plugins like Bold Builder, WooCommerce, RTL, Contact Form 7, Meta Box, and more features are pre-packed. Greek women painted their faces with white lead and used crushed mulberries as rouge for cheeks. Fake eyebrows were made of oxen hair and this was a popular trend of the ancient time. Both Chinese and Japanese people used rice powder to whiten their faces. It was fashionable to shave off the eyebrows, paint teeth into golden or black color, as well as use henna dyes for staining hair and face. 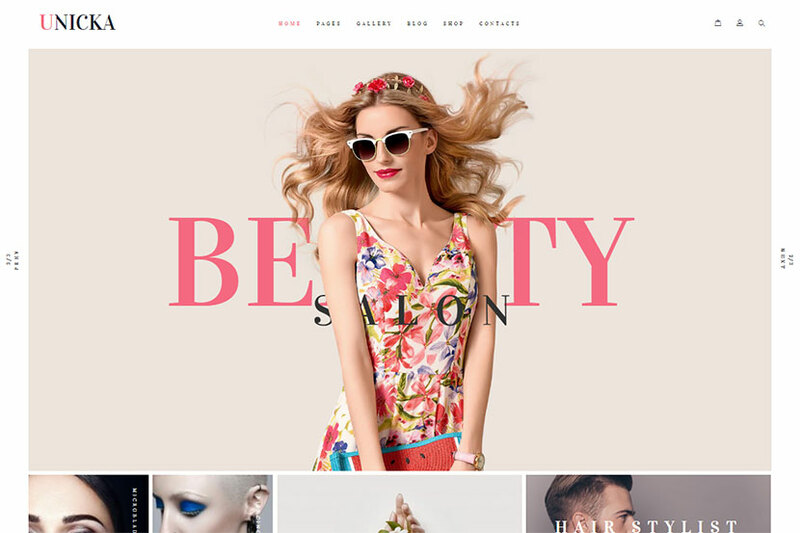 Unicka is another cosmetics and beauty oriented WordPress theme which comes with 2 homepage layouts designed for barber shop, hairdressing salon, spa salon, tattoo studio, cosmetics shop, and other related purposes. The template comes integrated with Slider Revolution, has dynamic accent color scheme, supports Unyson framework, includes custom widgets, MailChimp newsletter feature, and much more. Ancient Greek women whitened their faces with chalk or lead powder and used crude lipstick made of ochre clays laced with red iron. Early Common Era in Rome allowed to use new ingredients for correcting the appearance. Thus people masked pimples with the help of flour and butter as well as used sheep fat and blood to polish and decorate their fingernails. Men dyed their hair blonde, and mud baths started to be popular. 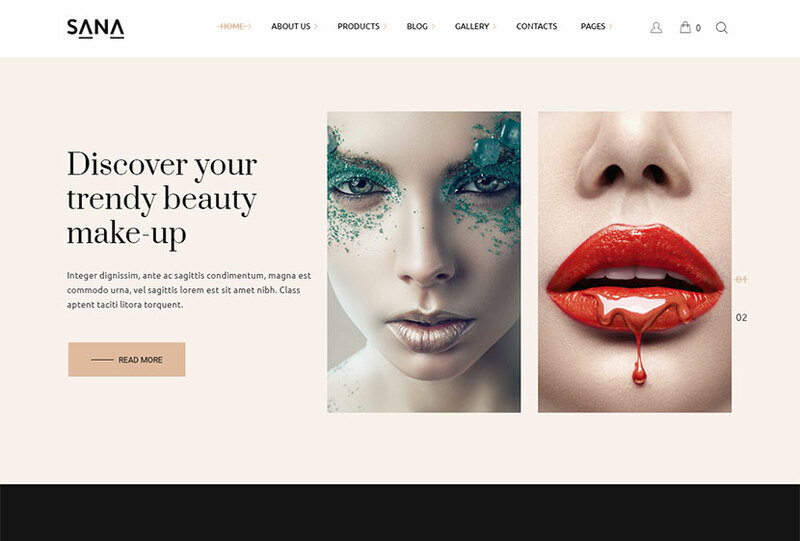 Sana is a cutting-edge WordPress theme which is especially designed to meet the needs of makeup artist, beauty salon or fashion stylist. It comes based on WPBakery drag-and-drop page builder, integrates with Slider Revolution, WPML support, Contact Form 7, MailChimp, powerful admin interface, 20+ WPBakery page builder elements, Bootstrap 3 grid, image zoom and scroll animations, and many more features. Some African cultures and Indians used henna for dying their hair. In india henna was also used for mehndi art which supposed painting feet and hands with complex designs using paste made of henna plant. Mehndi art was especially popular for Hindu weddings. If we speak of perfume, it started to be imported into Europe in Middle Ages, although organic and naturally made perfumes had been known far before that time in some Eastern countries. 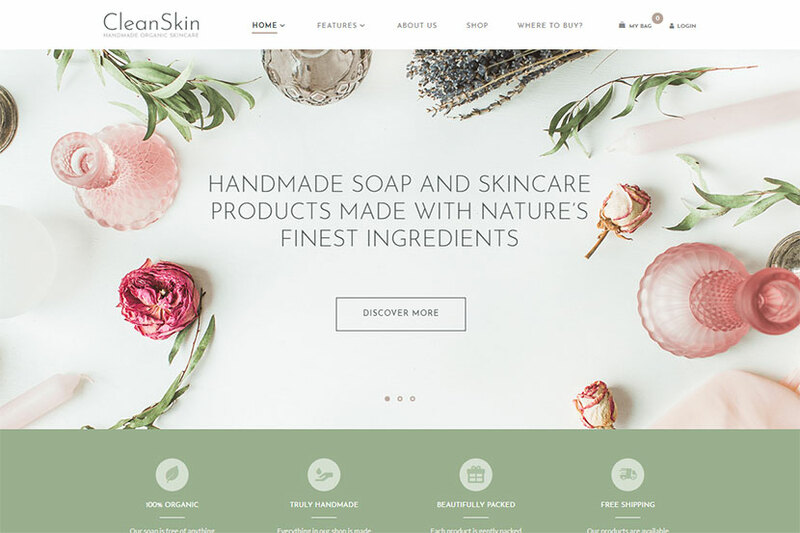 Cleanskin is a natural cosmetics and hand-made organic soap WordPress theme which comes with 4 homepage layouts including a boxed version. 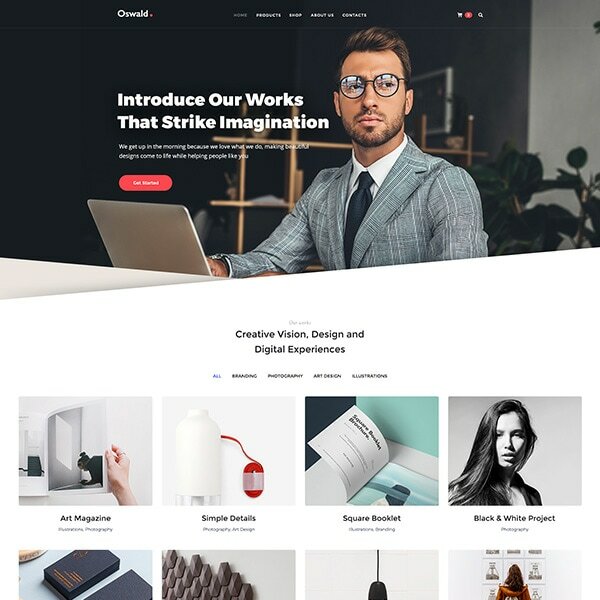 In addition it contains a number of pre-made inner pages, outstanding gallery and post layouts, online color scheme editor, full WooCommerce store compatibility, WPBakery drag-and-drop page builder, lots of shortcodes, parallax effect backgrounds, sticky menu included, and many more features. Starting from 1300, people in England dyed their hair red because this was the fashion trend of this time. The egg white pale complexion was popular among society women. This was the time when people believed that cosmetics blocked proper blood circulation and this caused health threats. Rumors were that women even drank vinegar to look paler, but fortunately this tradition wasn’t kept for a long time. 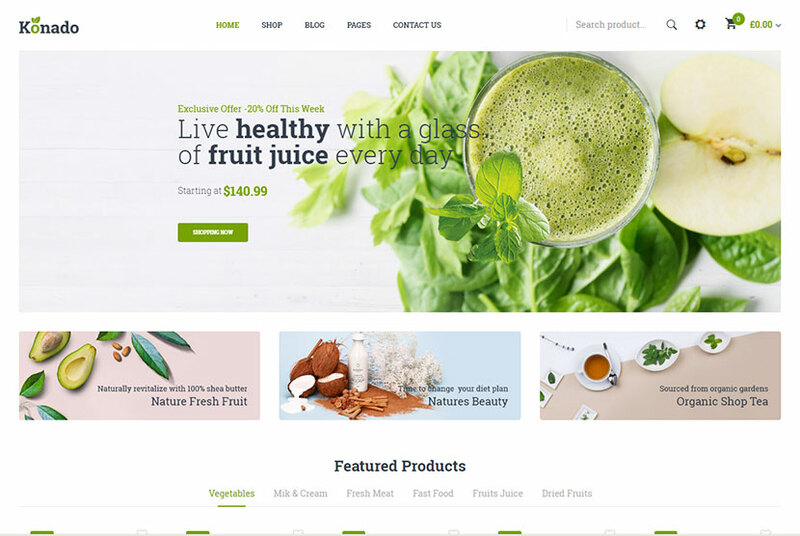 Konado is a an organic WooCommerce WordPress theme which comes with 4 homepage templates you can choose and use either for organic food or organic cosmetics online store. WPBakery page builder, Slider Revolution, WPML support, advanced theme options, pre-made header styles, mega menu, products slider module, daily deal and tabs category slider modules, quick view, product image gallery, and many more features are available. Renaissance period made Italy and France the centers of European cosmetics manufacturing. Only aristocracy representatives were able to use the cosmetic novelties. People used arsenic as a face powder and even drank it to make their eyes shine. First scents were created in France; early fragrances were the amalgams of natural ingredients. Much later scents were made and tested using the chemical processes. 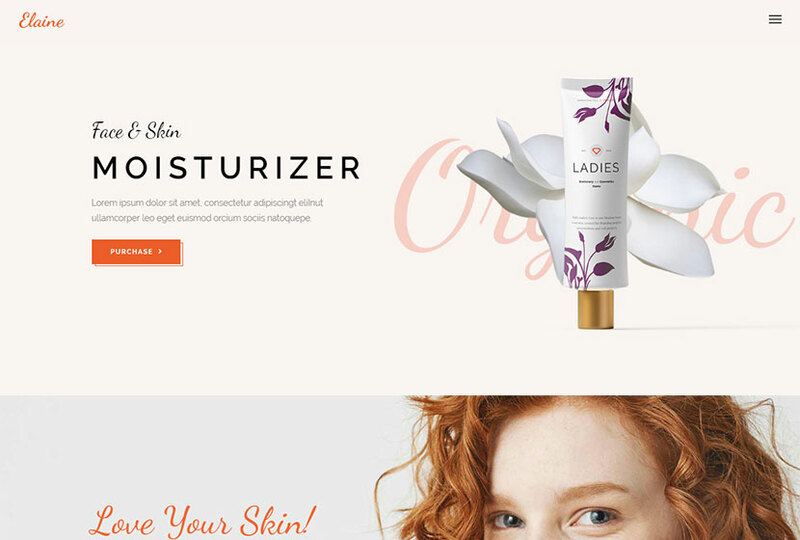 Makali is a cosmetics and beauty WooCommerce WordPress theme which comes with 6 homepage layouts available with different design structures and devoted either to decorative or skin care cosmetics. It has a multitude of premium and useful plugins including WPBakery page builder, Revolution Slider, WPML, and more. Makali’s features contain mega menu, blog module, tab and option product sliders, daily deal module, quick view, product image gallery, and much more. Since 1500 women in Europe tended to whiten their skin with the help of white lead paint. Even English queen Elizabeth the First also used white lead, and this was she who created the look called the mask of youth. Angelic blond hair started to be widely appreciated by women of any age. Hair was lightened using the mixture of black sulfur, alum and honey together with the sun exposure. 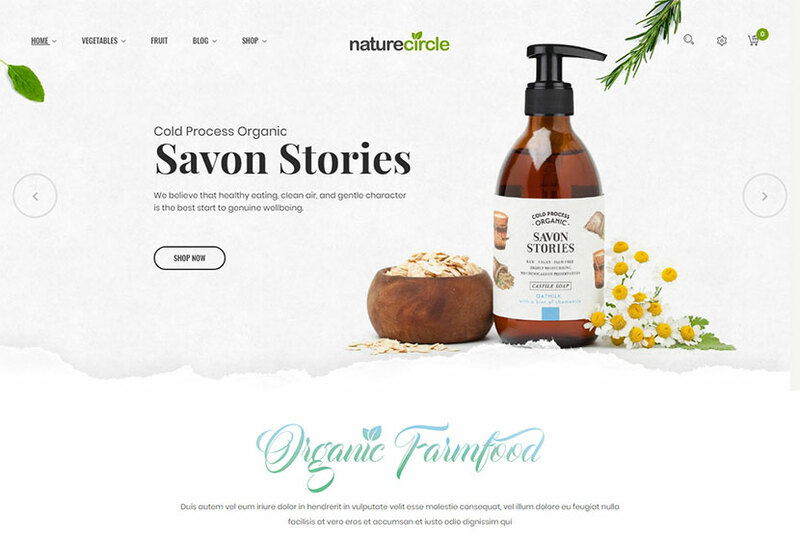 NatureCircle is an organic products WooCommerce WordPress theme which comes with 4 homepage layouts including the ones made for cosmetics and organic products. It includes a plethora of useful features and premium plugins like WPBakery page builder and Revolution Slider, Contact Form 7 and WPML multilingual support, mega menu, blog and daily deal modules, categories, options and tab products slider, product quick view, image gallery, client testimonials, and much more. The beginning of the 19th century brought new ingredients used for creating decorative cosmetics, thus zinc oxide started to be widely used for a facial powder. Previously, people used lead and copper as a face powder but this mixture was discovered to be toxic and blamed for health problems like tremor of face, muscle paralysis or even death. In 1800 queen Victoria declared make-up to be vulgar for regular people and applicable only for actors. Elaine is a beauty and healthy lifestyle WordPress theme which comes with 9 homepage layouts including a v-card, skincare, nutrition, yoga, shop, and some more purposes. It is fully integrated with WPBakery page builder and Slider Revolution, comes with OpenTable reservation system, a lot of custom shortcodes, a large collection of pre-made inner pages, powerful admin interface, portfolio lists, and many more features. In Edwardian society middle-aged women were encouraged to look younger, so cosmetics increased in popularity. Beauty salons were open in many cities and lots of women visited them to receive beauty procedures. In 1900 women made their best to get youthful appearance, however, they tried to keep the fact they attended beauty salons in secret. As they wanted everyone think their youthful look was given to them by nature, they attended the salons through the back door. 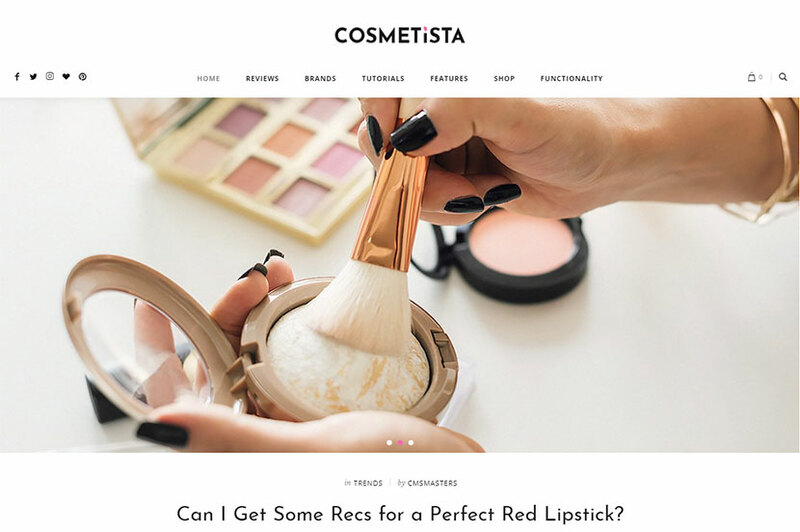 Cosmetista is a beauty and makeup WordPress theme best suited for beauty bloggers. It comes with 6 homepage layouts with different page structure and design. The template includes a bunch of pre-made inner pages for reviewing makeup, trends, fragrance, nails, accessories, body and hair care cosmetics. It has a number of custom shortcodes, blog and profile layouts, masonry and grid galleries, shop functionality, and many more useful features. After the World War 1 women in the US started to work equally with men. Disposable income and its reasonable use resulted in domestic cosmetics sales increase. The chemist T. Williams, being inspired by the name of his sister Mabel, created Maybelline mascara in 1915. The start of 20s brought the flapper look into fashion, so the make-up like dark eyes, red lips, red nails and the suntan was first noted as a fashion statement by Coco Chanel. GlamChic is a beauty blog and online magazine WordPress theme which comes with 3 homepage layouts possessing nice color schemes and gorgeous designs. The template is fully compatible with WooCommerce, includes advanced contact forms, user and main menu support, Slider Revolution and Swiper Slider integration, custom widgets and shortcodes, Essential Grid, MailChimp newsletter included, and many more features. The roaring 20s were known for the mass market production of perfumes and cosmetics in the US. This was the time when a Polish-American cosmetician by name Max Factor invented a definition “make-up” together with a former cosmetics expert who worked for the Russian royal family. The Society Make-Up was introduced to the public, so women started to copy the appearance of their favorite movie stars trying to look even better. 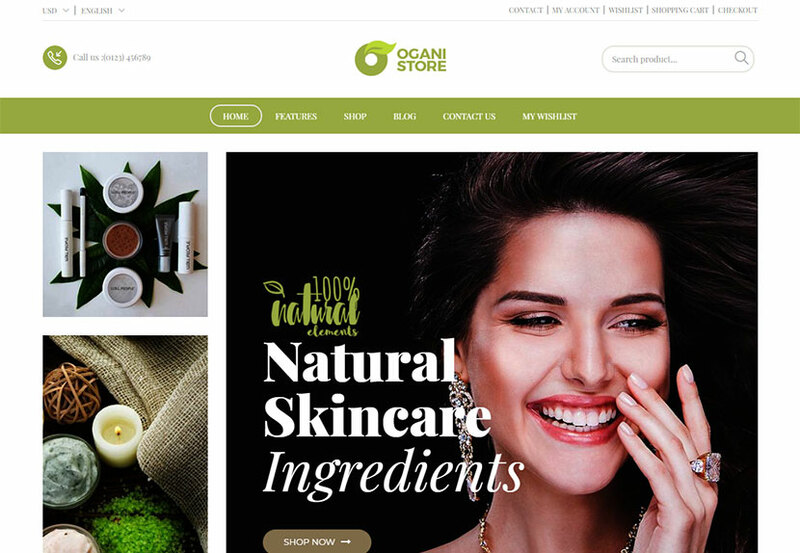 Ogani is an organic store WordPress theme which you can use either for selling organic food or natural cosmetics. It contains 4 homepage layouts including product and category pages pre-defined. 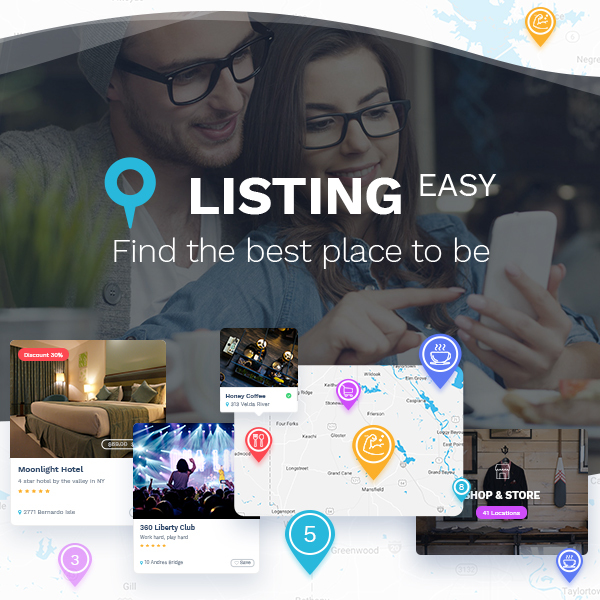 The template has different header styles, mega menu, v-mega menu and mobile menu, blog module, product and category tabs slider modules, products slider and daily deals modules, client testimonials, logo brands, ajax add-to-cart and ajax layered navigation, etc. Cosmetics changed during the Great Depression in the 30s when the tanned skin was in trend, and of course it changed after the World War 2 in the 40s and 50s when Procter & Gamble Company appeared. Since the start of 50s the modern era of cosmetics has begun and has been being improved every year up to now. Make-up and beauty industry have been complemented with beauty injections, facial massages, biorevilatization and of course plastic surgery. Renewal is exactly that WordPress theme specifically made for plastic surgery clinics. It comes with two homepage layouts including the one with ken burns slider, so you can select which template meets your taste the best. Features of the theme suppose the availability of advanced contact forms, before and after functionality, online appointments booking and management, pre-made team, services, and other inner pages, as well as many more advantages. We believe that outer beauty is going to become even better if the inner beauty exists. So use your cosmetics to highlight the charm of your face and smile to highlight the goodliness of your soul. 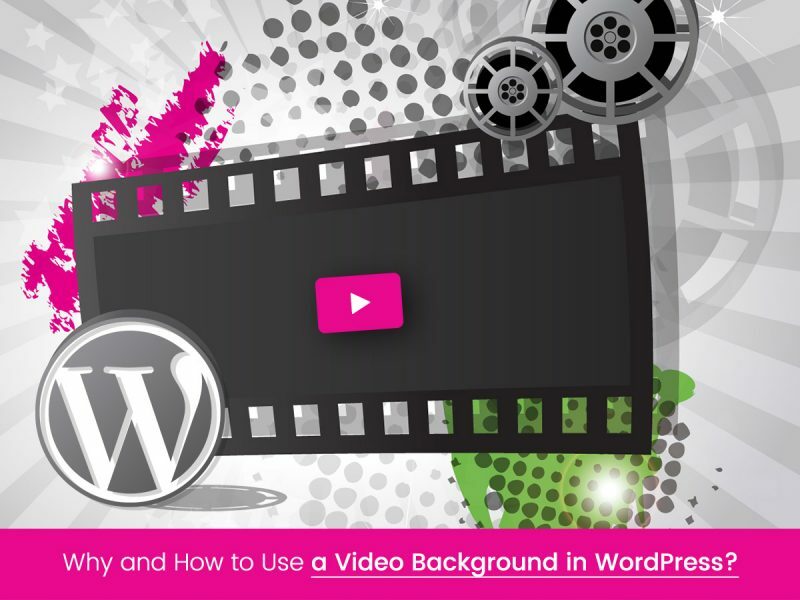 Why and How to Use a Video Background in WordPress?